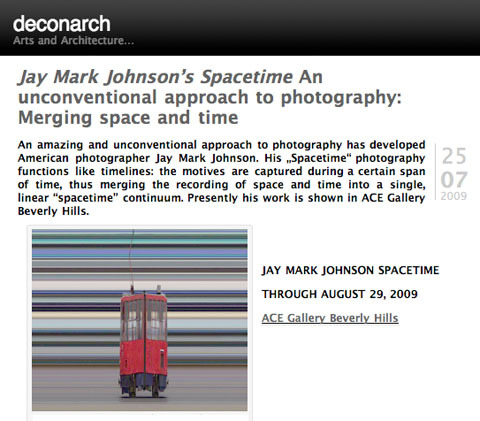 An amazing and unconventional approach to photography has developed American photographer Jay Mark Johnson. His „Spacetime“ photography functions like timelines: the motives are captured during a certain span of time, thus merging the recording of space and time into a single, linear “spacetime” continuum.. . .
Read Simone Kraft’s the full review here.